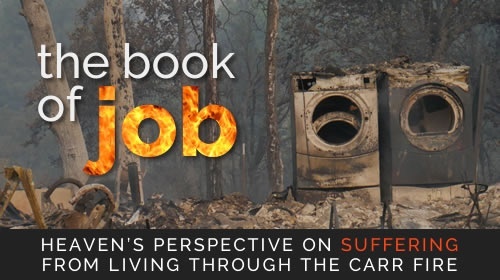 Join Tony Stoltzfus on this highly-personal journey through how to suffer well, as he reflects on the loss of his home through the lens of the book of Job. When was the last time you asked Jesus to tell you what he likes about you? Questions for Jesus is an experiential guide to developing a profound intimacy with God, by asking him about what you desire instead of what you ought to do. Listen in on four hours of coaching demos from the Leadership Coaching Live! audio CD set. A companion to the book, Leadership Coaching by Tony Stoltzfus. This audio course lets you learn great asking skills by listening to a master coach at work! It covers three key techniques for solving problems, each demonstrated live in two complete coaching demos. The best way to learn the rhythm of coaching is to listen in! Join master coach Tony Stoltzfus as coaches three different clients and see how reframing works in live, unrehearsed coaching conversations. This video course (originally released as The Invitation DVD) includes nearly 4 hours of high-resolution, 1080p videos from the book, The Invitation. These live coaching demos are suitable for presentations, use in courses and more. Learn to coach others through transitions (and navigate them well yourself!) in this audio training series by Tony Stoltzfus. We'll explore how God uses transitions to shape us with teaching and live coaching demonstrations. The courses below are part of our invitation-only, in-house Facilitator Training Program for Leadership MetaFormation. They have huge prices on them because that's the only way we can restrict access to only our Facilitators! This seven-minute intro will get you off and running using the Thinkific e-learning system. Internalize the MetaFormation vision and values--and then nail down a compelling mission and vision of your own. Starting a business without a plan is planning to fail. This course will walk you through creating a strategic plan for your Affiliate, including monthly goals, a first year budget, capitalizing your business and more. Figure out who your customers are and how you are going to reach them by creating a Marketing Plan. Automate your e-mail chores and save tons of time by leveraging Zoho's easy-to-use customer management tools. Zoho also lets you target your marketing campaigns precisely for greater results.